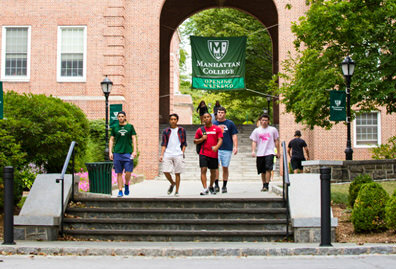 Ever since the cornerstone of the College was laid in this northwest neighborhood of the Bronx, Manhattan College has been expanding and enhancing its campus significantly, whether building on empty land, acquiring existing buildings or even enlarging College-built structures, as in the case of the O’Malley Library. This steady progression continues today and is evident in the opening of a new residence hall, East Hill, a few years ago, which essentially completed a conversion from a majority-commuter to a majority-residential college. With construction started on what will be a significant transformation of the campus — the new Raymond W. Kelly ’63 Student Commons — we take a look back at the past incarnations of some of the spaces and places around the College. 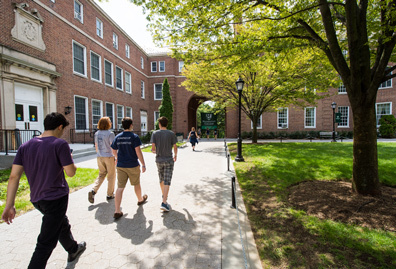 One of the more well-known additions to the Manhattan College landscape was the Fanny Farmer Candy Shops, Inc. factory, which was purchased on March 14, 1962, for $1.4 million. 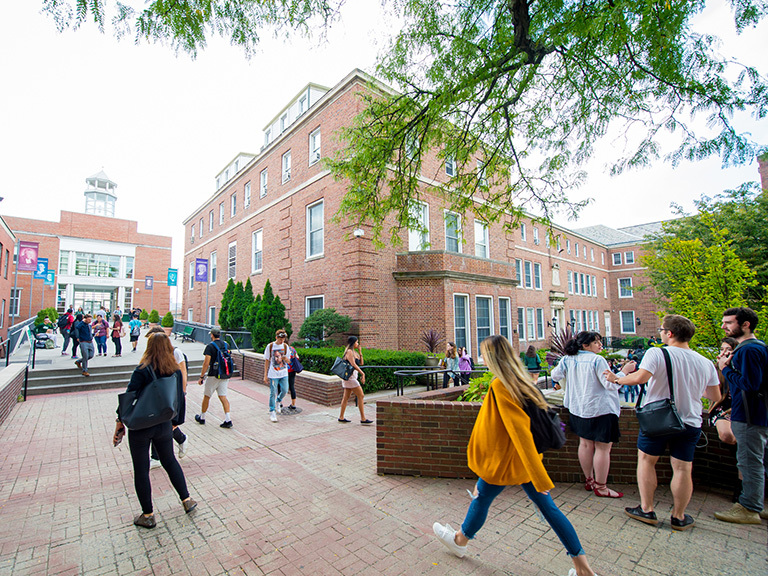 Consisting of 143,000 square feet of space, the colonial brick and stone structure was built in 1948 and was initially dedicated as the Engineering Building in the spring of 1964. The College re-dedicated the building in 1981 in honor of Brother Amandus Leo Call, FSC, former dean of the School of Engineering. 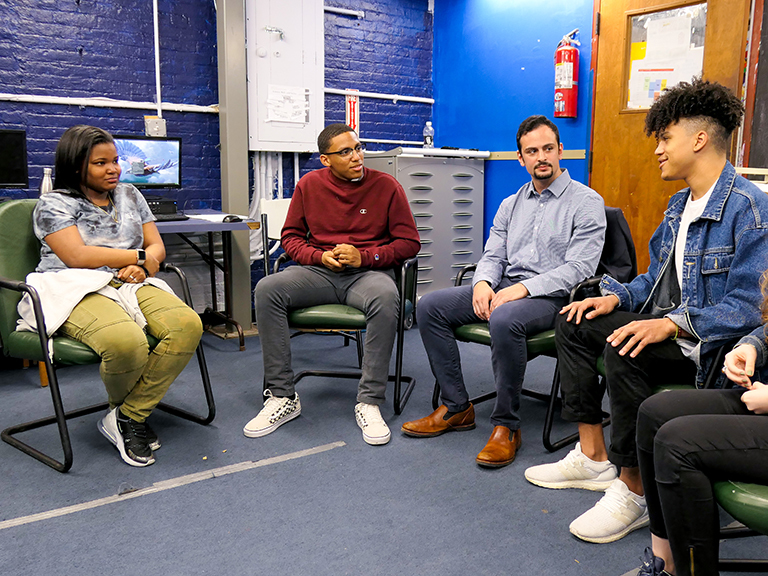 Nearly $200,000 was spent remodeling the space and renovating it with laboratories, offices, classrooms, a cafeteria, lecture halls, a machine shop and all the equipment needed to house engineering and physics. Two of Leo Engineering Building’s more distinguished features included a plant morphogenesis lab and a critical reactor, which the College acquired and placed into operation in the spring of 1964 — the first in New York City. Designed and constructed by AMF Atomics, the reactor was licensed by the U.S. Atomic Energy Commission and used by faculty and students in the Nuclear Science program. It was dismantled in 1997 and later removed. 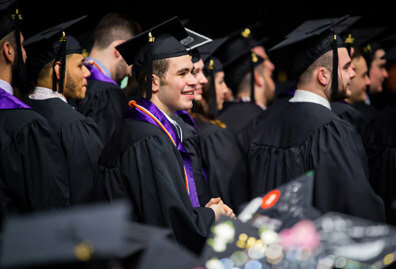 While it’s still home to the School of Engineering, Leo Hall, which underwent another name change in 2008, now also houses the Communication department, with its state-of-the-art broadcasting studio, as well as the Biology department and Air Force ROTC. With a clear vision for its potential, then President Brother Philip Nelan, FSC, purchased the Shrady property, a 1.42 acre piece of land with a house on it, in the fall of 1954. 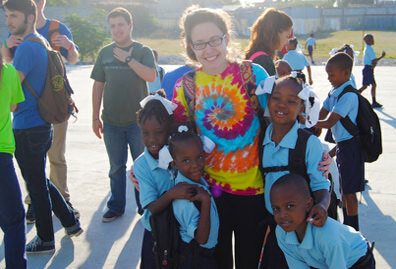 With the federal government making low-interest rate loans readily available to colleges and universities at that time, Br. Philip wanted to take full advantage of acquiring this area. Even back then, he had identified the site as a great place to build a dormitory, but he had a few other projects on his plate and did not get a chance to develop the property. Shrady house, built in 1900, was used as a research lab and even a residence before accommodating the College’s print shop. Also known as Solomon House at some point in the 1980s, it was torn down in 1989. Br. 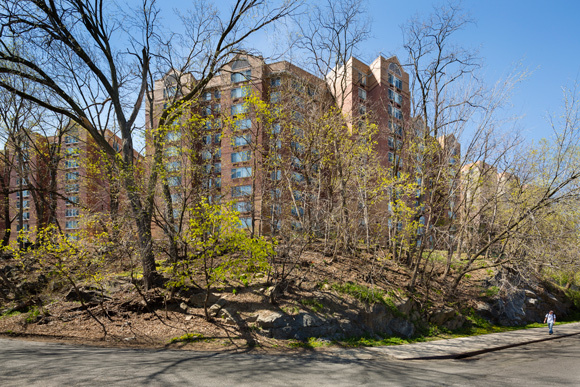 Philip’s prophetic idea was realized in the fall of 1990, when East Hill opened on the site. 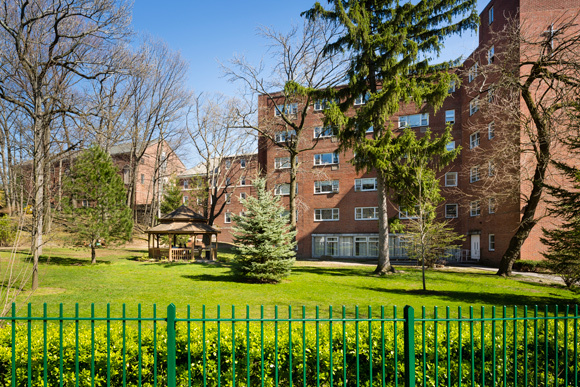 The residence hall, which was re-dedicated in June 2000 for benefactor John Horan ’40, is the largest residence hall on campus and houses about 700 students in suite-style rooms. 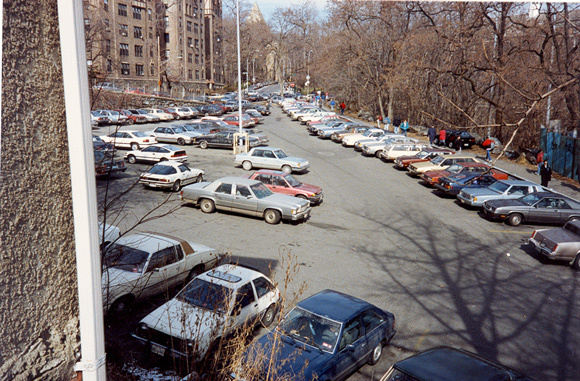 Between 1957 and 1966, the College acquired the property on Broadway at 242nd Street, which included a 10,000 square-foot, one-story building, and a plot of land for parking that fronted Broadway and extended back to Manhattan College Parkway. 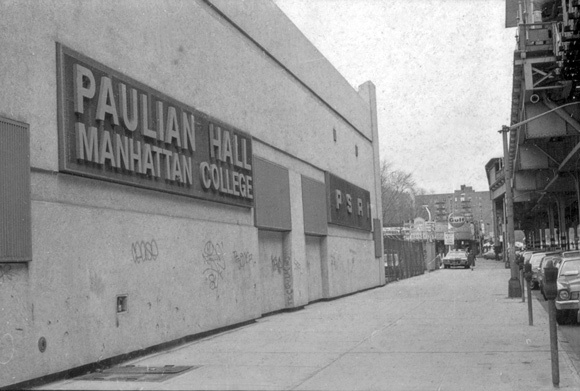 The building opened in the fall of 1958 as Paulian Laboratories, named for Brother Cesarius Paulian, FSC, who organized Manhattan’s engineering studies at the De La Salle Institute in 1889, and housed the newly created chemical engineering and mechanical engineering labs and classrooms. Its earlier incarnations included a Pontiac car showroom and a roller-skating rink. 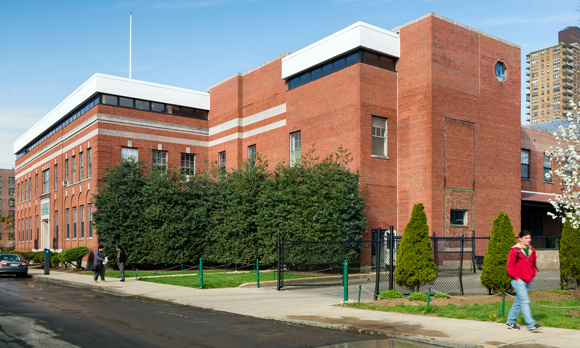 The College also used some of the space in Paulian Labs as a vehicle and garage storage facility and a print shop, as well as rented a portion of the building out to the company Particulate Solid Research Inc. (PSRI). In the 1990s, the building was converted for use by Physical Plant staff. 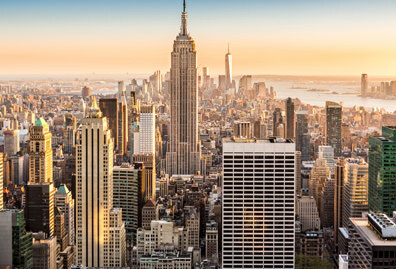 One trivia-worthy tidbit to note is that the purchase of this property marked Manhattan’s return to Broadway for the first time since its move from 131st Street in 1923. 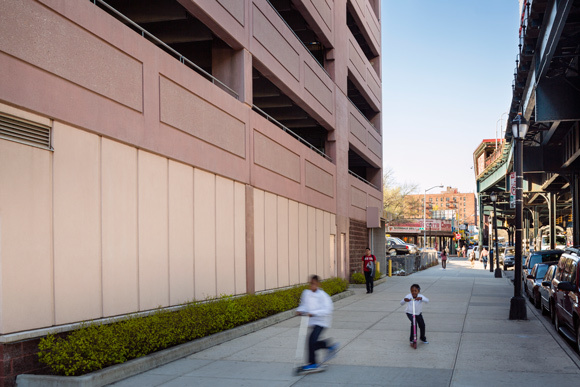 The Broadway Parking Garage, which opened in 2008, now resides on this site. 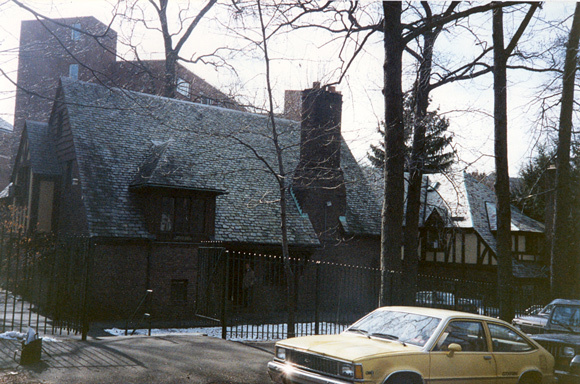 As Manhattan College Parkway winds its way south, down the hill past the Fieldston neighborhood, but before the College’s main entrance, there used to sit two Tudor-style houses behind Jasper and Alumni halls. 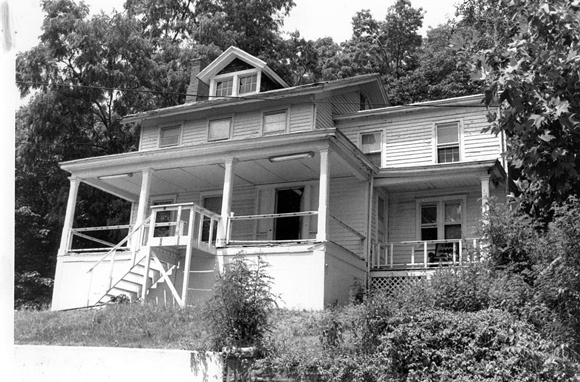 Home to the Alumni Relations and College Relations staff, Lavelle Hall, at 296 W. 244th St., was purchased in November 1949. Sears Hall, the bigger, corner plot, was acquired in 1965 and housed the Planning and Development office. Both two-story homes had been private residences before the College acquired them for additional office space. Sears Hall was named for Edward Sears, a lay member of the original board of trustees of the College and professor of Latin and English. Lavelle Hall paid homage to Monsignor Michael Lavelle, an affiliated member of the Institute of the Brothers of the Christian Schools, rector of St. Patrick’s Cathedral for 52 years, vicar general of the Archdiocese of New York, and loyal friend of the Brothers. A familiar site to Jaspers who drive, the Waldo Parking Lot is a small plateau of land comprised of about 16 small lots and one house, which were bought between 1950-1959. Bounded by Waldo Avenue and Gaelic Park, and incorporating a small part of Irwin Avenue, the lots ranged in size from .0443 to .3554 of an acre and averaged about $1,000 per lot. While currently known as Quigley House, the little white house on the southwest corner of the property was also called Waldo and Neumann throughout the years. Initially, the College considered using the land for the science building before the site for Hayden was selected. 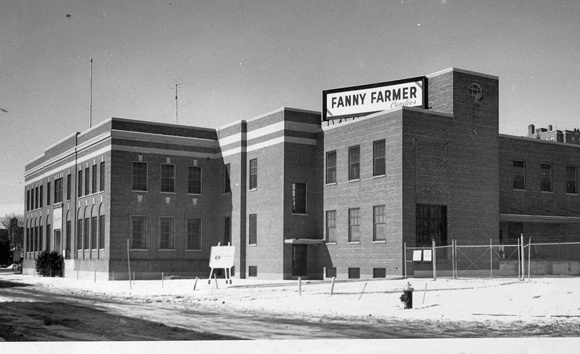 Then, Manhattan decided to construct a brand new and much-needed engineering building there, but just as serious planning began, the Fanny Farmer building became available and was chosen as a better option. However, at that same time, parking had become a serious concern for the College, so the small vacant plot was converted into a parking lot. The site will soon be home to the Raymond W. Kelly ’63 Student Commons, a state-of-the-art building that will provide new space and enhanced student life programming for our growing residential population. 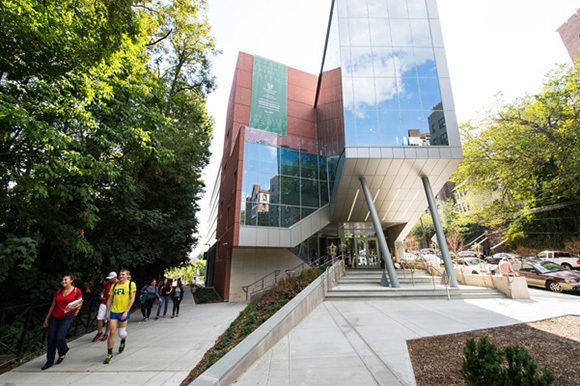 The building opened in 2014.